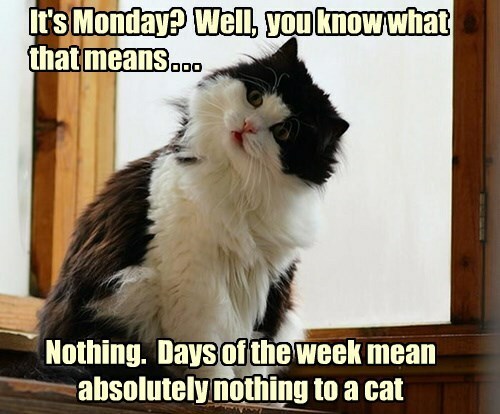 Monday doesn’t mean much to a writer, either. It’s a holiday. Columbus Day. Banks are closed. No mail. School’s out. Courts are shut down. I have work to do. But then I had work to do yesterday and the day before and…well. I’m a writer. I like to pretend that I’m working even when I’m staring out the window. Plotting. That’s my story and I’m stickin’ to it. Sports. Pretty much a train wreck. Nothing to see here, just move along now. TV is still boring by most people standards. And reading is mostly stalled. I’m listening to book that’s okay. I’m not burning up to finish it, which is good because I do have other stuff to do. I really need to stop procrastinating. I’m also doing a beta read for a friend. It should be a fun read. I’m still angry. Still not for the reasons many people might suspect. That’s okay. I had a written dialogue with someone on the topic last week. It was civil. It was respectful. And when it was over, I was left in tears because I’ve despaired of ever being able to conduct such a conversation with anyone who didn’t agree with me ever again. Sometimes, I write out my emotions. Sometimes, that writing turns into a scene. Someday, I’ll find a spot in one of my books for the scene. Not sure when, or what characters, but it’ll be there. It’s raining, like it has been off and on all weekend. And cooler temps are forecast. That means ooey-gooey dinners like chili and spaghetti and beef stew and cool-weather foods like that. I like cool weather. I even like rainy weather. As a result, I should be in the mood to work. Instead, I just want to crawl back into bed and sleep. Yay depression. No time to deal with it. Upward and onward, right? Right! Sadly, due to circumstances and on account of because, my life is and will be mundane and boring. But, hey! It beats the alternative, right? What thoughts are circling your brain today? This entry was posted in Writing Life and tagged follow up, holiday, Monday, musing, procrastination, reading, sports, TV, writing. Bookmark the permalink. We were looking at that weather system this morning. It’s totally stalled. They keep predicting rain for here, but until that sucker moves east, we high and dry. Which is good, I guess, because I’ve been doing work in the yard. I just hate waiting for stuff to happen. I’ve given up having discourses with people about things. All conversation better be on a strictly superficial level or I’m walking away. Unless they agree with me, but generally I’m not sticking around to find out. I don’t like confrontation. I hope you find a way to bleed off the anger soon. That stuff is toxic. Yay for cooler temperatures. I can’t wait. It’s still pretty hot and muggy here. After last night’s piss poor performance by the Yankees, don’t get me started on sports. I guess we’ll find out tonight whether there’ll be anymore baseball this year for us to care about. Golf is over. I quit football. Basketball leaves me cold. Hockey? Meh. Nothing much is circling my brain this morning. Waiting for the coffee to kick in and for my brain to wake up. Another 45 minutes and it’ll be time to feed the cat and start the day. Red Sox/Brewers? Not watchin’. Ditto on NFL and NBA. NHL? We watch occasionally. We’re under flood watch from all the rain and now we have tornado warnings. Not *HERE* but in the county–on the opposite side from us and moving away. We needed the rain but 3″ in an hour? Yeah…no.